Anna Laetitia Barbauld (, by herself possibly , as in French, née Aikin; 20 June 1743 – 9 March 1825) was a prominent English poet, essayist, literary critic, editor, and children's author. 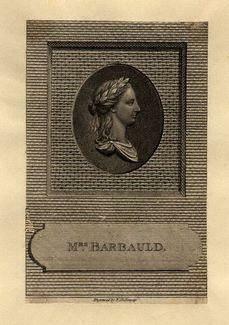 Barbauld's career as a poet ended abruptly in 1812 with the publication of feminist literary criticism in the 1980s renewed interest in her works and restored her place in literary history. In 1773, Barbauld brought out her first book of poems, after her friends had praised them and convinced her to publish. The collection, entitled simply Poems, went through four editions in just one year and surprised Barbauld by its success. 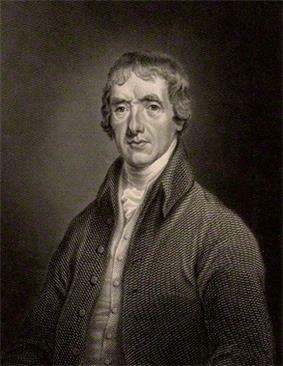 Barbauld became a respected literary figure in England on the reputation of Poems alone. The same year she and her brother, John Aikin, jointly published Miscellaneous Pieces in Prose, which was also well-received. The essays in it (most of which were by Barbauld) were favourably compared to Samuel Johnson's. 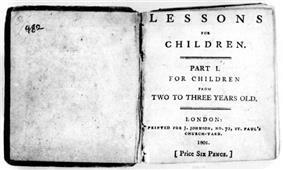 and Hymns in Prose had, for children's books, an unprecedented impact; not only did they influence the poetry of Sunday School movement, Ellenor Fenn wrote and designed a series of readers and games for middle-class children and Richard Lovell Edgeworth began one of the first systematic studies of childhood development which would culminate in not only an educational treatise authored by Maria Edgeworth and himself but also in a large body of children's stories by Maria herself. ^ McCarthy, Voice of the Enlightenment, xvi. 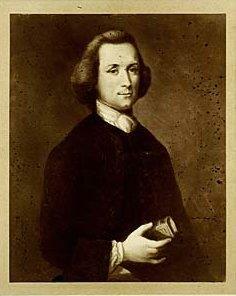 ^ Schofield, Robert E. The Enlightenment of Joseph Priestley: A Stud of His Life and Work from 1733 to 1773. University Park: Pennsylvania State University Press (1997), 93. ^ a b Rodgers, 57. ^ Ross, Marlon B. "Configurations of Feminine Reform: The Woman Writers and the Tradition of Dissent." Re-visioning Romanticism: British Women Writers, 1776–1837. Eds. Carol Shiner Wilson and Joel Haefner. Philadelphia: University of Pennsylvania Press (1994), 93. ^ Barbauld, Anna Letitia. "An Address to the Opposers of the Repeal of the Corporation and Test Acts." Anna Letitia Barbauld: Selected Poetry and Prose. Eds. McCarthy and Kraft. Peterborough: Broadview Press Ltd. (2002), 263. ^ Barbauld, "An Appeal," 266. ^ Barbauld, "Sins of Government, Sins of the Nation," 316–7. ^ McCarthy, "Mother of All Discourses," 88–9. ^ Miss [Sarah] Burney: Traits of Nature (London: Henry Colburn, 1812), Vol. II, p. 68–69. A more strident criticism was made by the Lambs, telling of Mary's abortive search for a copy of Goody Two Shoes, which her brother claimed was because "Mrs Barbauld's stuff has banished all the old classics of the nursery." The Letters of Charles and Mary Anne Lamb, ed. Edwin W. Marrs, Jr. (Ithaca: Cornell University Press, 1976). Vol. 2, pp. 81–82. To Samuel Taylor Coleridge dated 23 October 1802. Quoted in Norma Clarke: "The Cursed Barbauld Crew..." In: Hilton, Mary, et al. : Opening the Nursery Door: Reading, Writing and Childhood 1600–1900. London: Routledge, 1997, p. 91. ^ Myers, Mitzi. 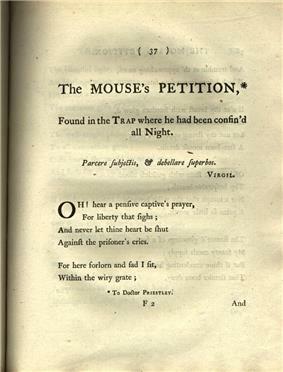 "Of Mice and Mothers: Mrs. Barbauld's 'New Walk' and Gendered Codes in Children's Literature." Feminine Principles and Women's Experience in American Composition and Rhetoric. Eds. Louise Wetherbee Phelps and Janet Ennig. Pittsburgh: University of Pittsburgh Press (1995), 261. ^ [Barbauld, Anna Laetitia and John Aikin.] Evenings at Home; or, The Juvenile Budget Opened.Vol. 2. 2nd ed. London: Printed for J. Johnson, 1794. 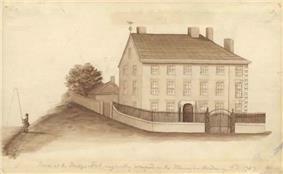 Eighteenth Century Collections Online. ^ Fyfe, Aileen. "Reading Children's Books in Late Eighteenth-Century Dissenting Families." The Historical Journal 43.2 (2000): 469. ^ Levy, Michelle. ".Evenings at HomeThe Radical Education of " Eighteenth-Century Fiction 19.1–2 (2006–07), 123. ^ Aikin, Lucy. "Memoir." 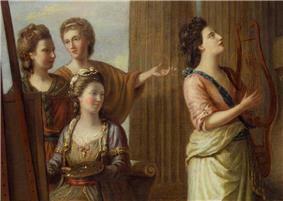 The Works of Anna Laetitia Barbauld. 2 vols. London: Routledge (1996), xxxvi–xxxvii. ^ Barbauld, Anna. "Introduction." Selections from the Spectator, Tatler, Guardian, and Freeholder, with a Preliminary Essay. Qtd. on http://faculty.ed.uiuc.edu/westbury/Paradigm/Mack.html 14 February 2007. ^ a b c d e For dating on these volumes, also see Myers. Levy, Michell. ".Evenings at HomeThe Radical Education of " Eighteenth-Century Fiction 19.1–2 (2006–07): 123–150.